Hello Animal Jammers! These are the new items that came out this week: The Bulky Golden Phantom, the Trapped phantom, and the Caged phantom. 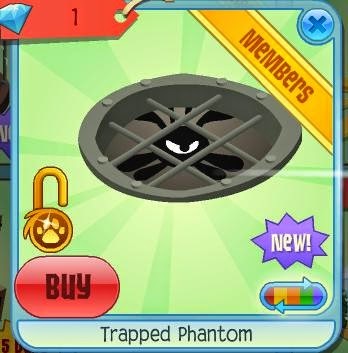 In case anyone doesn't know what these items look like, here is a picture of the Trapped phantom. You can see the rest at the Diamond Shop. 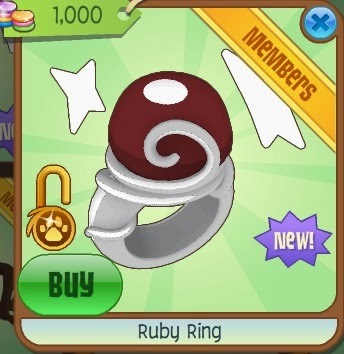 Here is another picture of the new Ruby Ring, which costs 1000 gems in Epic Wonders. There is also a new game in Kimbara Outback called Spot On, where you try to guess the animal on the screen before the whole picture shows up. Oh, and there is one more new item... A Chest of Gems for your den!You can see it at Jam Mart Furniture or go to Shop For Your Den. It is official, FALL IS HERE AT LAST! 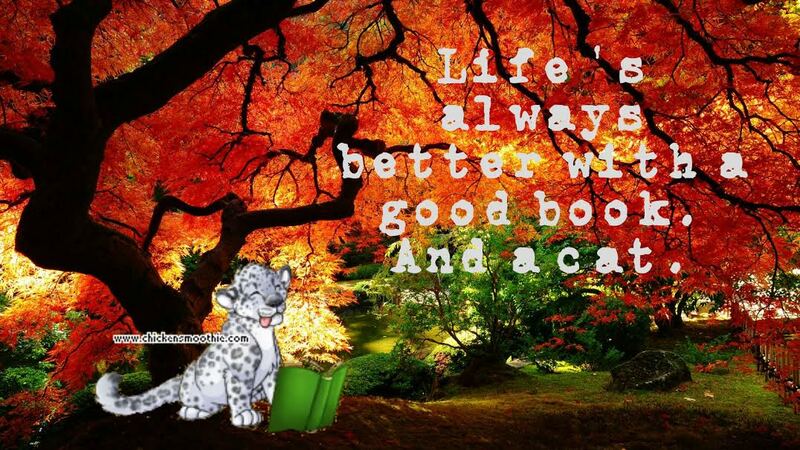 And since Fall has arrived in real life, why not on Animal Jam as well? This week, The Phantom Vortex has reappeared once again, and Jamaa Township is now decked out for Halloween (or as called on AJ, Night of the Phantoms)! I hope everyone has a PAWSOME WEEK! Bye Jammers! HI! 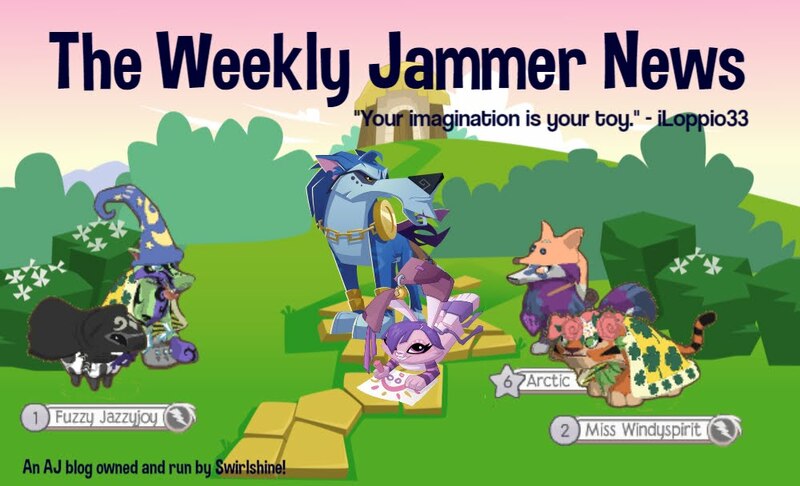 Welcome to my new AJ blog, The Weekly Jammer News! 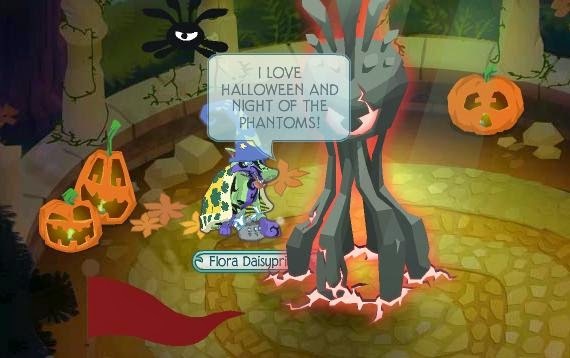 I will be posting Animal Jam news every week, so stay tuned for more AJ fun!